An analytical thinker and creative problem solver, Dr. Lola Odubekun is a social scientist with a professional background in law and over 25 years of high level experience in criminal justice research, advocacy, and grants management. She holds a Ph.D. and an M.A. (Criminal Justice) from Rutgers—The State University of New Jersey, Newark, (Barrister-at-Law) Nigerian Law School, Lagos and an LL.B. (Honors.) Ahmadu Bello University School of Law, Zaria. Dr. Odubekun holds a Program Certificate in Quantitative Methods of Social Research from the University of Michigan. Aside from her past service on the Board of Trustees of the United States International University-Africa, she has been on the board of United Nations African Institute for the Prevention of Crime and the Treatment of Offenders (UNAFRI), Uganda and Juvenile Intensive Supervision Program of New Jersey (USA). 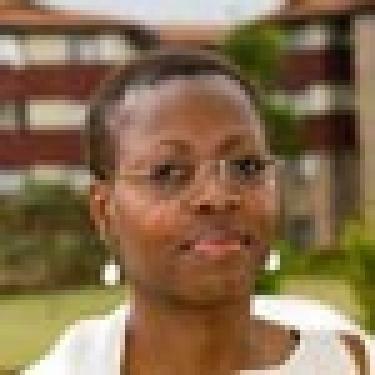 Dr. Odubekun developed and managed research and demonstration programs expanding access to justice in Nigeria and supporting and mentoring civil society organizations advancing legal reform and strengthening democratic processes in post-election Kenya. Lola’s professional experience also includes college teaching in New Jersey, public policy analysis in Washington, D.C., and criminal justice research and advocacy in New York. She conceived, wrote and supervised publication of the first modern Crime Atlas, as part of the New York City Mayor’s initiative on enhancing quality-of-life. Findings were used to develop strategies and programs on community policing, domestic violence, and the use of GIS in criminal justice. Her current scholarly pursuits include statistically modeling the intersections of gender and race in American criminal justice processes and structures while also writing on Comparative African Law and Justice.